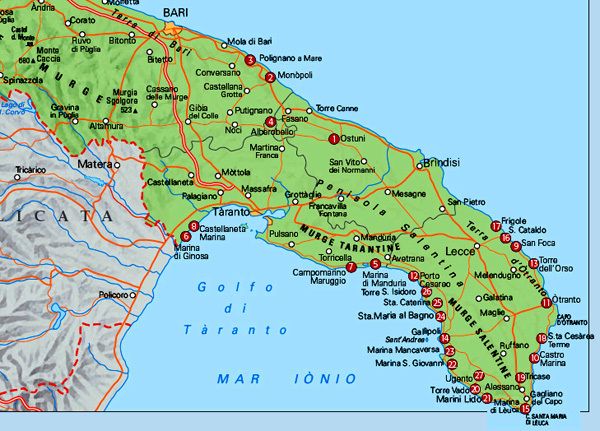 There are many sources to obtain property price information, the Osservatorio Turistico FIAIP is unique in that, it focuses purely on the property market. All data have been supplied by real estate agents registered with FIAIP and operating in those areas. 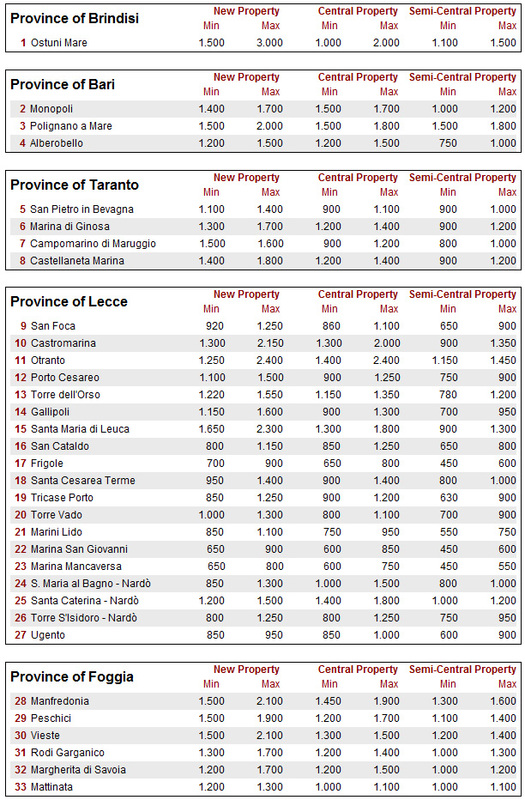 This Puglia Price Index is a really useful tool to compare property prices across the main tourist towns in Puglia. This index has been produced considering sold apartments on last 6 months of 2006.